This salad would go well with roasted fish. Set up steamer, fill with water and bring to boil. Cover and steam until crisp tender, about 6 to 8 minutes. 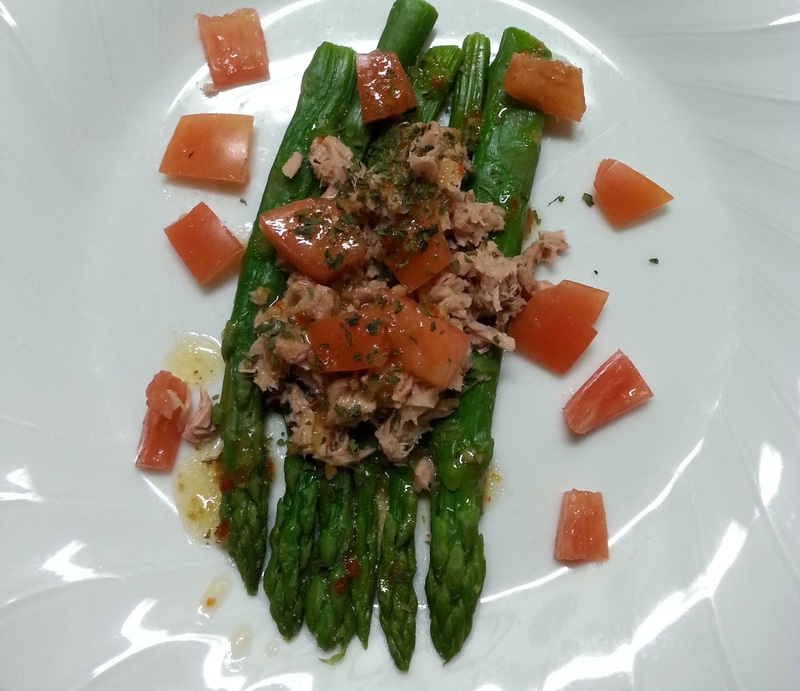 Divide between two plates, top with tuna fish and tomatoes. Sprinkle salt and pepper. Drizzle dressing and garnish with parsley.